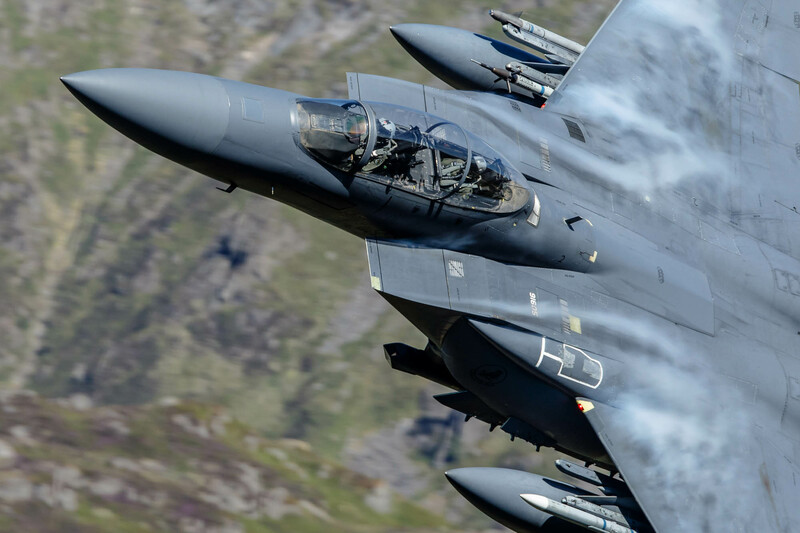 F-15E Strike Eagle (01-2004 'LN') using callsign 'Stout 91' without any fin tip squadron markings in July 2018. 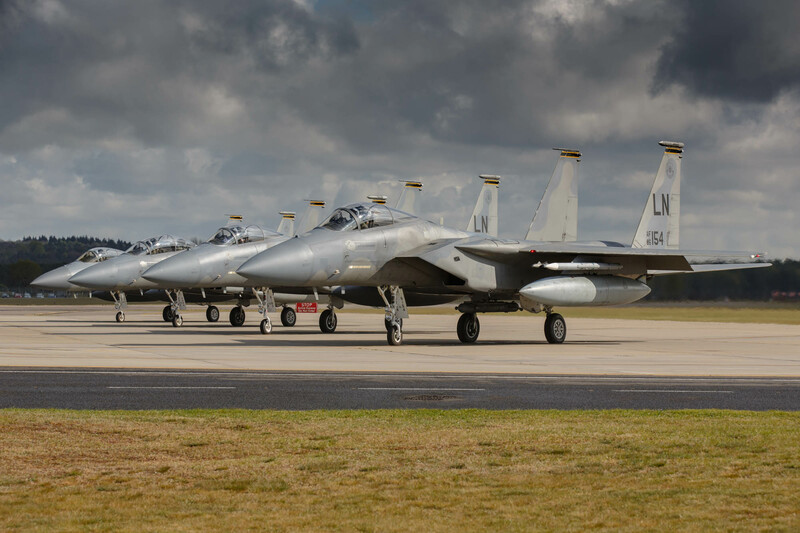 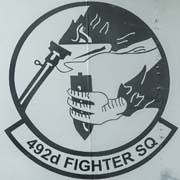 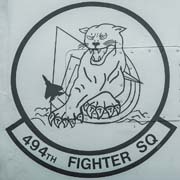 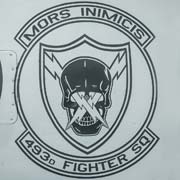 494th Fighter Squadron, F-15E Strike Eagle (red fin tip). 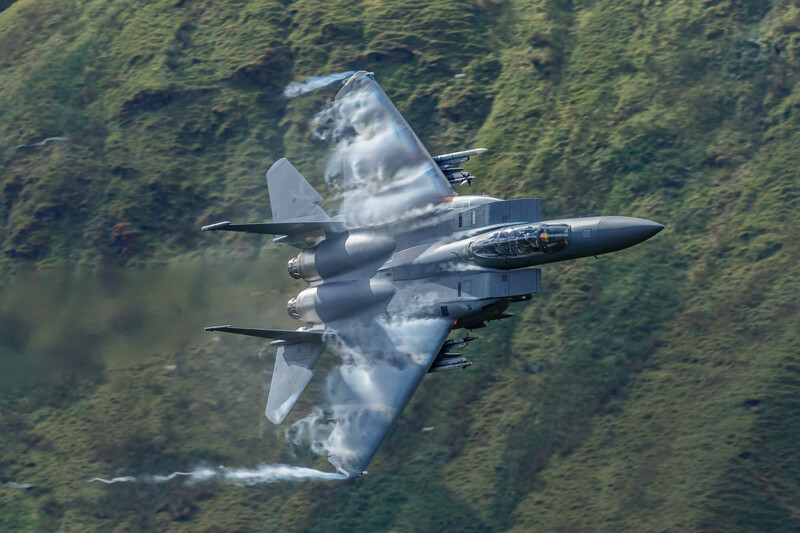 F-15E Strike Eagle (91-605 'LN') using callsign 'Eagle 1' piloted by Col. Petus on his final flight as commander of 48 FW in July 2018.